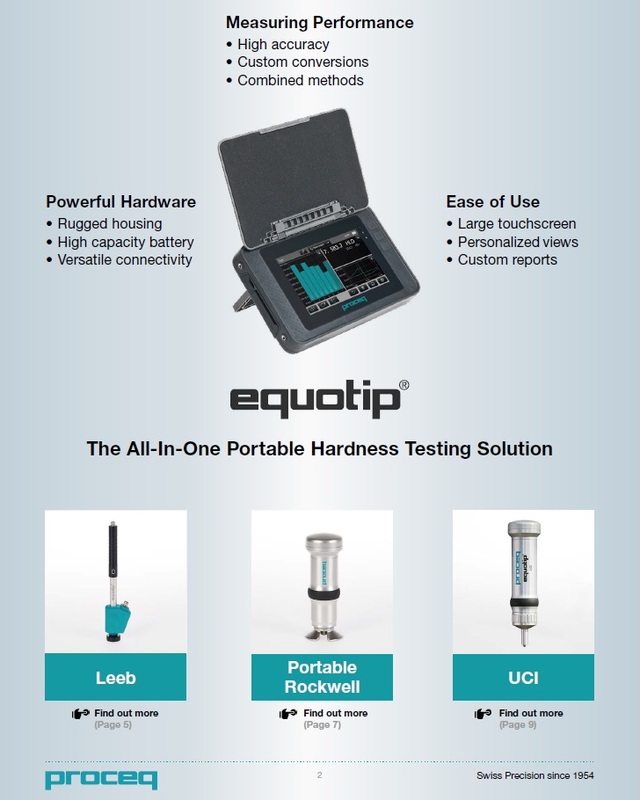 The all-in-one Equotip 550 display platform is the most versatile portable hardness tester on the market, utilising an intuitive user interface with robust hardware components. Operates in temperatures from -10°C to +50°C (14°F to 122°F) and in humidity up to 95%. Freedom of movement for the lone operator in the field. Easily accessible touchscreen due to three-point strap fixation. Reliable measurements for the most popular Leeb D probe even after 300'000 impacts*. Ergonomically designed and shock-absorbing rubberised housing. Protection against dust and water splashes (IP 54). Specifically designed protective rubber caps for the USB Host, USB Device, Ethernet and power socket. Durable and scratch-resistant touchscreen thanks to Gorilla® Glass Technology. Less reflection on screen thanks to optional antiglare foil.